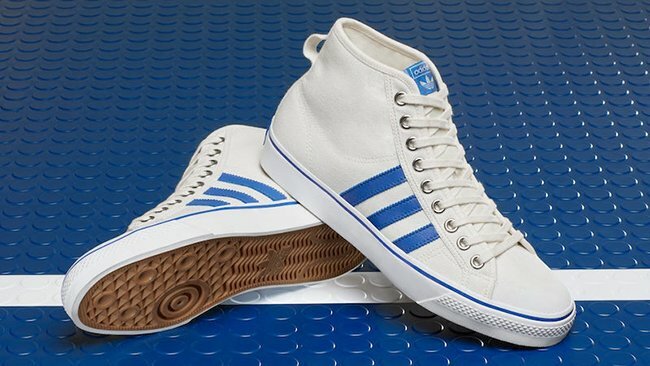 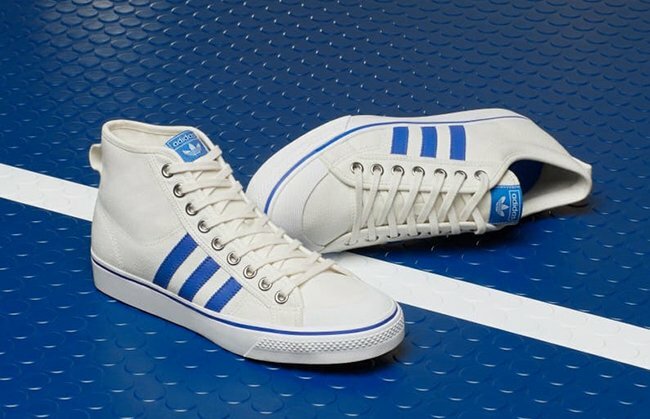 This season adidas Originals marks the return of a ‘70s basketball icon, bringing back the Nizza silhouette in a one-to-one reproduction of both its high-top and low-top iterations: OG shape, OG materials, OG colorway. 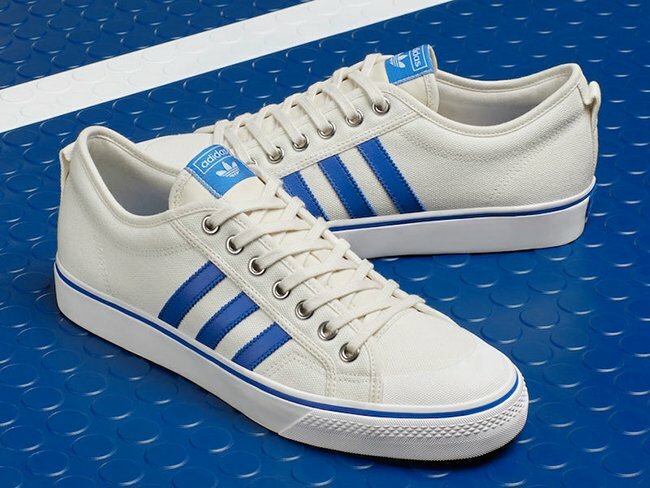 True to the shoe’s original 1975 blueprint, the Nizza features a durable canvas upper in white, with blue embroidered 3-Stripe mark. 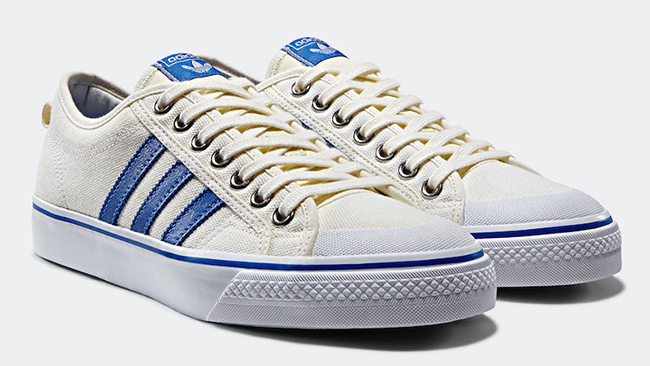 Branding details on the tongue and heel add subtle pops of color, rounded off with the shoe’s vulcanized rubber cupsole with blue foxing details and the Nizza’s signature rubber toecap. 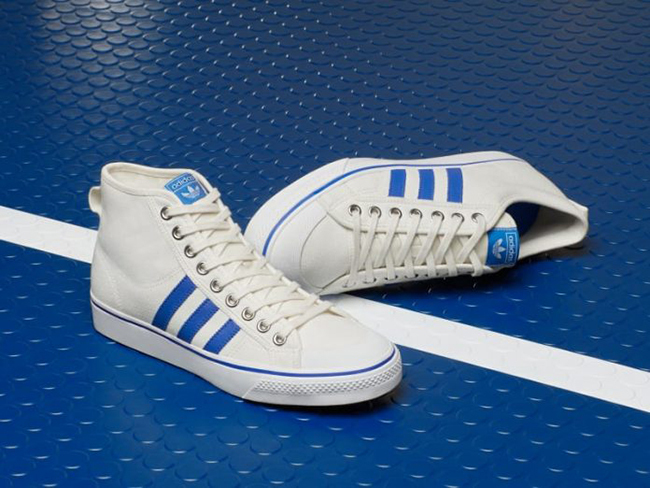 With both the Nizza Lo and Nizza Hi restored in their full glory, it’s the perfect revival of a casual summer classic. 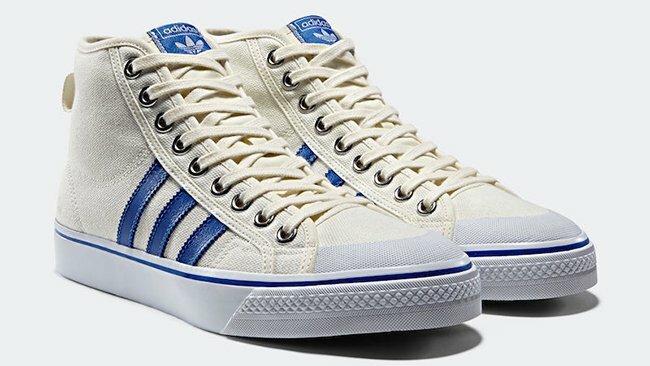 The adidas Nizza High and Low will release at select adidas Originals retailers and online at adidas.com on June 29th, 2017. 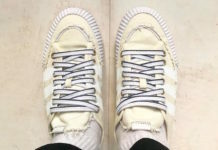 Retail price for the High is $80 while the Low will cost you $75. 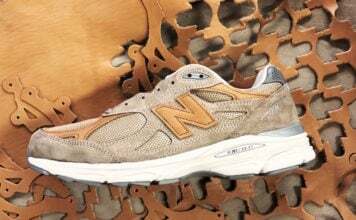 Below you can check out more photos of the two which will give you a closer look.